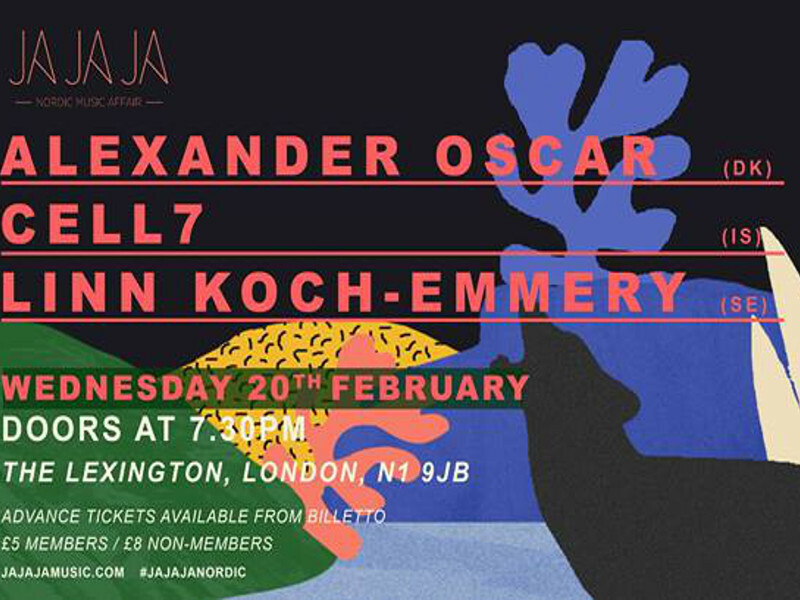 After a swift festive break, we can't wait to get back to business - so join us on Wednesday 20th February as we invite 3 unmissable Nordic artists to perform at our monthly showcase! Emerging pop sensation Alexander Oscar will be joining us all the way from Denmark, alongside Icelandic rapper Cell7 who's on the cusp of releasing her brand new LP, Is Anybody Listening. And our third artist of the evening is hotly tipped Swedish indie promise Linn Koch-Emmery, whose latest EP Waves has seen her tour the US, Mexico and Europe.